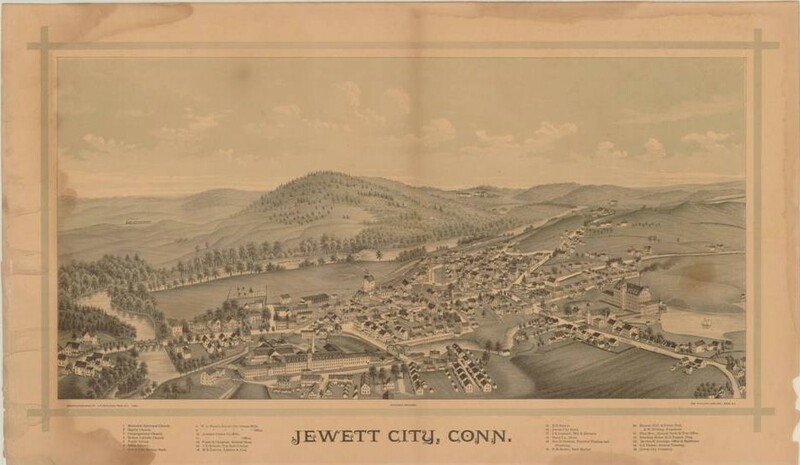 During the late 19th and early 20th centuries panoramic or perspective maps, also known as bird’s-eye views and aero views, were used to depict many of Connecticut’s town and cities. 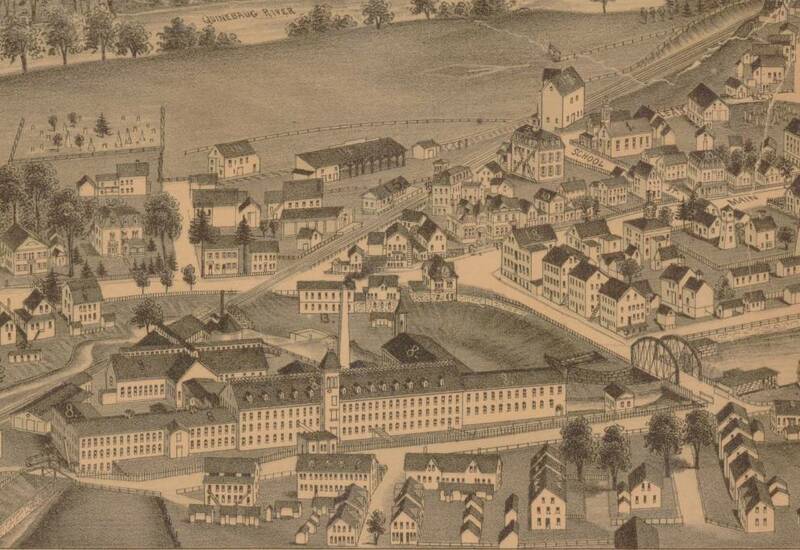 This pictorial cartographic form portrayed the landscape as if viewed from above and at an angle, and those produced after the Civil War often presented an idealized view of Connecticut’s industrial centers. Generally, these maps were not drawn to scale but offered a broader perspective of the transportation routes, including street patterns and rail lines, as well as the the private homes, civic buildings, industries, and major features of the local landscape.